Welcome to the Hebridean Hobby Centre website. For all your crafting needs from knitting to modelling, we have it all. 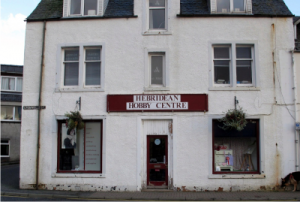 The Hebridean Hobby Centre is an established hobby shop located in the town of Stornoway, on the Isle of Lewis. We are located in the main town over looking the harbour and castle grounds. Copyright © 2019 Hebridean Hobby Centre. All Rights Reserved.